I got 3 bubble mailers today, which is always fun for me. In 2 of them I got Yankee Stadium Legacy cards, 9 total and a Pujols 08 Topps TCH card. 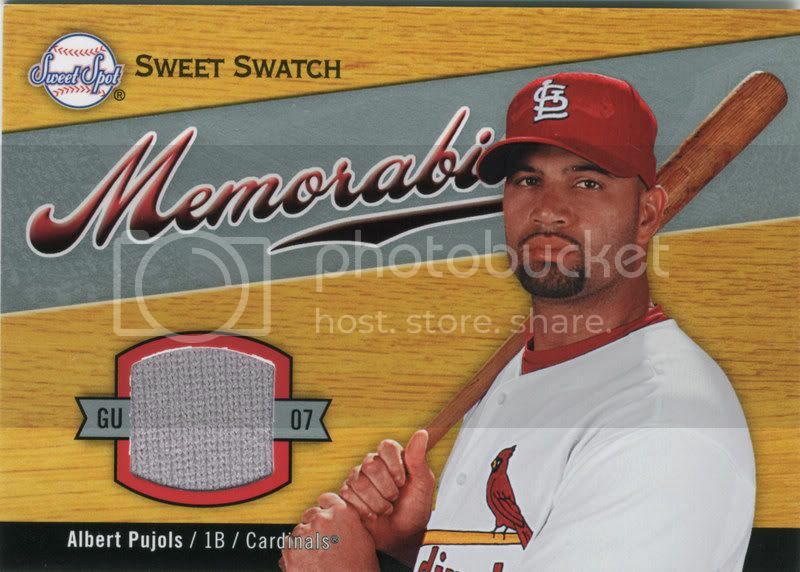 The third bubble mailer had my 07 Sweet Spot Pujols GU Jersey card. Awesome!